Due to ongoing pricing volatility in the overall metal market, Taber Extrusions, LLC of Russellville, Arkansas and Gulfport, Mississippi, is changing its metal pricing policy. Effective with Orders on and after April 16, 2018, and Shipments on and after May 1, 2018, all invoices will be updated to reflect the Prior Months Midwest Transaction Average at the time of shipment. Company History: Taber Extrusions, LLC. Taber Extrusions was founded in 1973, when the Taber family acquired an aluminum extrusion plant in Russellville, AR, from Dow Chemical (which had originally built the plant in 1970). National Material Company L.P. (NMLP) later purchased the company in 1976. The Arkansas facility was originally dedicated to the production of specific military related large, wide, and long extrusions for the U.S. Government, for which the company pioneered a process for extruding rectangular billet (or slab). The use of rectangular billet enables the company to extrude solid profiles up to 31 inches wide or hollows up to 29 inches. In 1995, Taber expanded with the purchase of an extrusion facility in Gulfport, MS, which houses a cast house and two additional presses. Fabrication capabilities were added to the Russellville facility in 2014, which already houses the company’s large 8,600 MT press with three container sizes (a container for the extrusion of rectangular billet, as well as two round containers, a 16 inch and a 20 inch). The fabrication area has been expanded several times since it was constructed, with the addition of B-800 series and Marvel band saws for precision cutting, horizontal and vertical machining centers, and coordinate measuring machine (CMM) for quality control. Thank you for your continued support of Taber Extrusions, LLC. If you have any questions concerning this policy change please contact one of Taber’s Regional Sales Managers. Taber Extrusions of Russellville, Arkansas purchased the Exact Manufacturing division of Lou-Rich, Inc. which will now expand Taber’s capabilities to include ultra-precision aluminum extrusions. Aluminum ultra-precision extrusions are produced through a proprietary technique that delivers features, tolerances, and surface finishes previously believed to be impossible. This unique extrusion process continues to impress design engineers, offering an additional design alternative for the production of precision aluminum components. Industries most commonly using micro-extrusions include computer, electronics, aerospace, medical, industrial, and military. Taber is a highly regarded, full service provider of aluminum extrusions to many industries including aerospace, transportation, defense, power, etc. They are also ISO 9001 and AS 9100 certified. As a leader in the extrusion business, Taber is highly suited to provide the quality and service demanded by Exact’s customers. With this acquisition, both Taber’s and Exact’s customers can expect to see increased supply opportunities with the expanded set of extrusion solutions, programs and services provided by Taber. Founded in 1973, Taber Extrusions originally pioneered a process for extruding rectangular billet which enables the company to extrude solid profiles up to 31 inches wide or hollows up to 29 inches. Taber expanded with the purchase of an extrusion facility in Gulfport, MS., in 1995 which houses a cast house and two additional presses, and the fabrication area has been expanded multiple times. 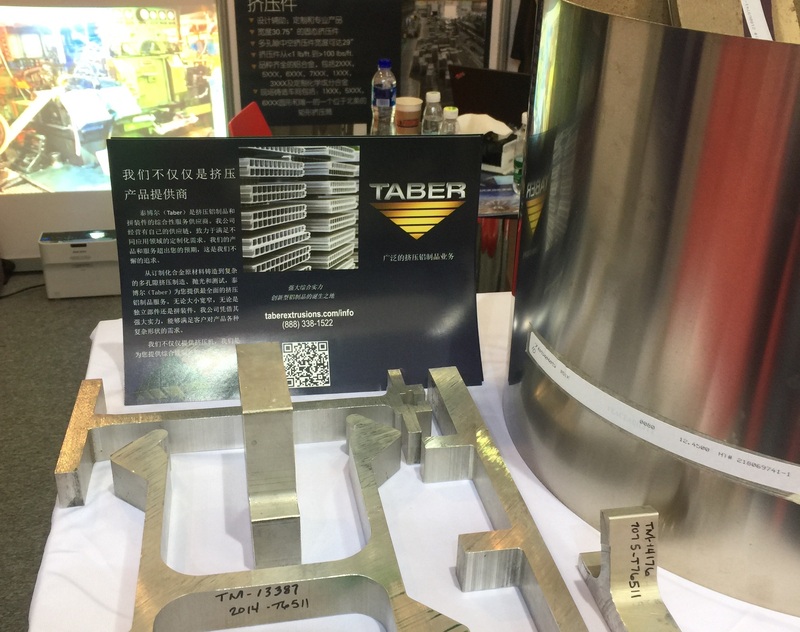 Taber continues to extrude billet in a wide range of alloys and sizes, and has diversified its markets beyond military since its inception to include aerospace, automotive, marine, infrastructure, and sporting goods, among many others. 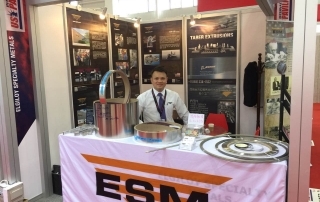 For these markets, the company supplies cast and extruded products in a variety of soft and hard alloys. Today, Taber Extrusions is proud to announce the launch expanded capabilities to include aluminum ultra-precision extrusions. Thank you for your continued support of Taber Extrusions, LLC. If you have any questions please visit taberextrusionc.com or contact one of Taber’s Regional Sales Managers. Las Vegas, Nevada – January 22rd – 23rd Taber Extrusions will be available for in-person Q&A regarding their customizable upper & lower oversized extrusions for AR-15 variant rifles, perfect for the progressive fabricator looking to accommodate multiple design features, amongst a wide scope of other offerings in the realm of aluminum extrusions relating to the firearm and archery industries. The 40th Annual SHOT Show’s Supplier Showcase will be hosted in the Palazzo Ballroom at the Venetian Hotel meeting rooms in Las Vegas, Nevada. The SHOT Show is geared up to open its doors to the thousands of attendees to many of the nation’s leading manufactures who will be showcasing their newest products and innovations. Attendance at the 2018 SHOT Show is restricted to the shooting, hunting and outdoor trade and commercial buyers and sellers of military, law enforcement and tactical products and services only. 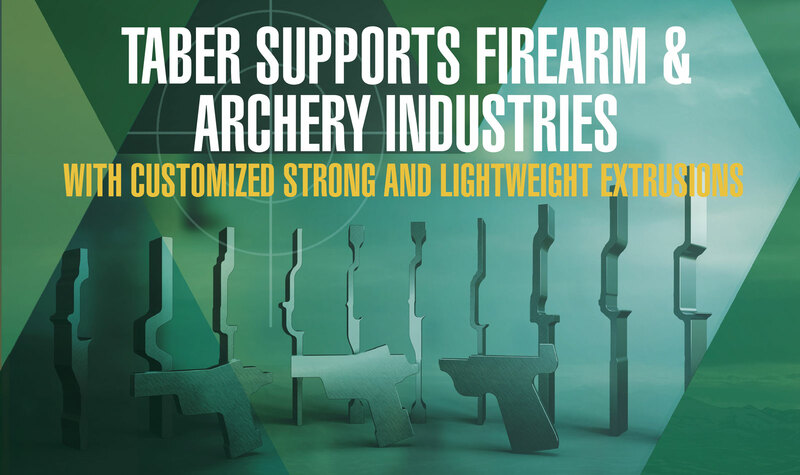 Taber Extrusions will be located at booth S2135, providing information on their customizable aluminum extrusions for the manufacturing of AR-15 variant rifles, lightweight pistol frames, and compound bow riser sections for use in archery. 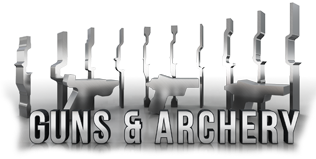 Taber’s AR-15 shapes are made from the same material used in military grade jets and satellite apparatuses, namely aluminum alloys from 6xxx or 7xxx families. Taber Extrusions a minority business enterprise, fully integrated with In-house casting, extrusion, and fabrication, IS0 9001, AS9100, and NADCAP certified, and offers alloys in 2xxx, 5xxx, 6xxx, and 7xxx series with extrusion sizes ranging from less than 1 lb./ft. up to 140 lbs./ft. Recently featured in Light Metal Age Magazine, Taber is a leading supplier of aluminum extrusions purposed for Military and Department of Defense, and offers a diverse range of products and services while simultaneously maintaining a high level of customer care and support. Meet Taber at the 2018 Shot Show Supplier Showcase from January 22rd – 23rd from 9am-5pm in the Palazzo Ballroom, 5th floor Venetian Hotel Meeting rooms – booth S2135. The Venetian Hotel is located at 3355 South Las Vegas Blvd. Las Vegas, NV. 8910. Connect at www.taberextrusions.com or call directly 888.985.5332. 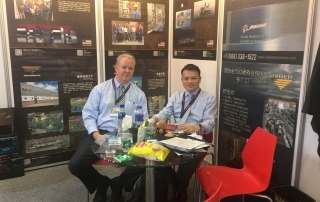 Taber Makes An Appearance at the Airshow China! 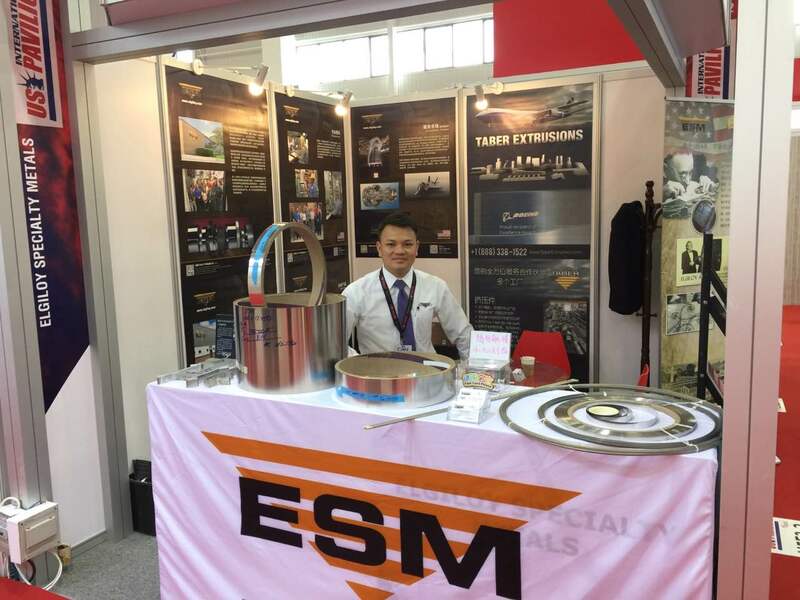 Zuhai, China – Airshow China 2016 took place November 1-6 and Taber’s NMLP sister company Elgiloy Specialty Metals had a booth in the middle of the action! Elgiloy represented Taber’s exhibit materials and continuous looping PowerPoint presentation in order to familiarize attendees with Taber’s wide variety of services including ultrasonic testing capabilities, hard alloys, large press, and complex aluminum extrusions for virtually any application. Check out these photos from the airshow to see how things went! 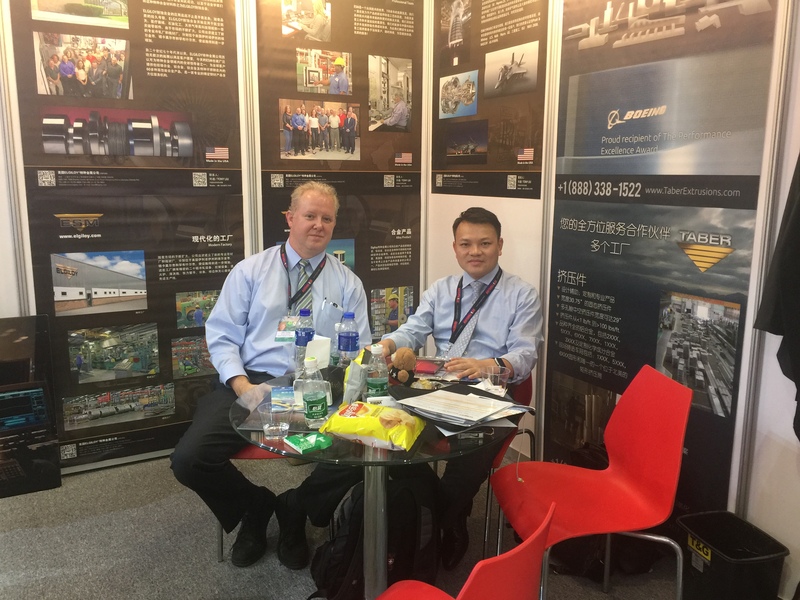 The China International Aviation & Aerospace Exhibition (Airshow China) is the only international aerospace trade show in China that is endorsed by the Chinese government. Airshow China is held in Zhuhai, China and features real-size products, trade talks, technological exchange and flying displays. Since 1996, it has been a successful gateway for international aviation and aerospace enterprises to showcase the latest technology and products in the fast-growing Chinese market. Russellville, AR – Taber Extrusions is proud to announce their selection as a participant in the upcoming ShipTech 2016 Conference. ShipTech is a two-day event intended as a forum for the domestic shipbuilding industry, its supplier base, the U.S. Navy Program Offices and the U.S. Navy-sponsored shipbuilding research programs to exchange information on shipbuilding technical developments. Taber Extrusions will be presenting Extruded Aluminum Alloys: Improving Shipbuilding and Repair Efficiency to the select group of ShipTech attendees as a part of the Materials Technologies/Additive Manufacturing Session during the conference. ShipTech is also featuring Taber’s abstract, Aluminum Magnesium Alloy AMX602: Potential Naval Armor Applications. This is good news for the U.S. Navy, who which currently faces new challenges in shipbuilding including making ships lighter, faster, stronger, more lethal, and of course seaworthy. AMX602 performed well during testing, and performed favorably compared to current aluminum alloys used in the naval market defense industry. “The promising attributes of this material warrant further research into its armor capability and study into manufacturing technology to support mass production,” states the abstract. The future looks promising for this new aluminum alloy, which may be setting sail for mass production and fabrication in the not-so-distant future. Senator Boozman visited the Taber Russellville plant in early October to learn about their broad scope of capabilities. 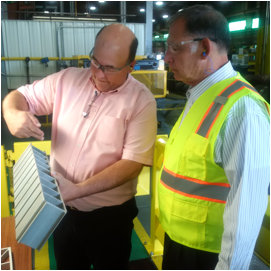 Mike McDonald, Inside Sales Manager at Taber Extrusions explains pieces manufactured by Taber to Senator John Boozman. WASHINGTON— U.S. Senator John Boozman visited Taber Extrusions headquarters in Russellville Thursday to learn from company executives about the manufacturer’s wide range of products they serve including recent innovations in the military, aerospace and automotive industries. Taber Russellville specializes in complex and ultra-wide and heavy extrusions, manufacturing aluminum parts which competitors consider difficult or even impossible to do. “As an industry-leader, Taber Extrusions sets a high standard of quality for its products. The company’s commitment to innovation and excellence is unmatched in the industry. I appreciate the opportunity to see the high-tech work performed at the Russellville facility and I’ll continue to promote pro-growth policies that help businesses in Arkansas compete in the global economy,” Boozman said. Taber is a full-servicer of aluminum extrusions, offering service such as custom aluminum alloy casting, aluminum machining and testing. These value added services further Taber’s ability to manufacture extrusions with custom alloy chemistries and properties that meet stringent specifications, such as those found in aluminum aircraft and aluminum marine applications. Taber is leading the way with exceptional quality products and the broadest capabilities in the aluminum extrusion industry. “Taber is very proud to be able to provide American manufacturing jobs in Russellville, Arkansas since 1976, and Gulfport, Mississippi since 1995. We are pleased to be able to show some of our unique capabilities to Senator Boozman and appreciate his enthusiasm and support,” Allan Bennett, Taber’s Vice President of Sales and Marketing, said. Russellville, Ark. (May 19, 2014) – Taber Extrusions LLC, the industry leader in large press aluminum extrusions, is the proud recipient of the Boeing Performance Excellence Award (BPEA) for 2013. Taber received this award based on a twelve-month period with 100% on-time delivery and a 100% quality rating. For 2013, Boeing recognized 543 suppliers with a Performance Excellence Award. This award is based on overall supplier quality and delivery and awards at two levels of Silver and Gold. Taber is one of a select group to earn Boeing’s most prestigious Gold level award for 2013. Since 1973, Taber Extrusions has been known as the industry leader providing some of the widest, heaviest, most complex shapes into a variety of industries including aerospace, military, ship building, automotive, sporting goods, architectural and distribution markets. 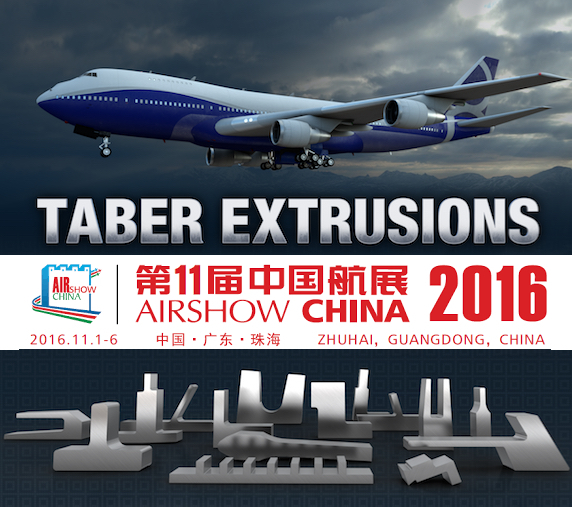 Taber supplies intermediate to heavy press structural extrusions for various Boeing Commercial airplanes including 747, 767, 777, & 787 airframes. The company has manufactured aircraft and aerospace extrusions since 1973, servicing the Commercial, Military and General Aviation markets. In 1973, Taber Extrusions LLC pioneered the extrusion of large, heavy and wide complex shapes to differentiate itself in the aluminum extrusion industry. Today, Taber Extrusions continues its tradition of breaking boundaries as an extrusion leader in the production of a range of quality aluminum extrusions sizes and shapes. The company offers extrusions in 2000, 5000, 6000 and 7000 alloy series. Since its inception, the brand name Taber Extrusions has been synonymous with innovation, service and quality. All extrusions are engineered, manufactured and tested in the United States. Taber Extrusions maintains its headquarters at the Russellville, Arkansas facility, with a regional sales office also at its Gulfport, Mississippi facility. [NYSE: LMT] has recognized Taber Extrusions LLC as a “Perfect Performer” for 2012. This honor is given Lockheed Martin’s Preferred Suppliers that achieve 100 percent quality and 100 percent delivery ratings for the entire year while delivering at least $100K of parts and meeting all Preferred Supplier Program requirements. As a Lockheed Martin Preferred Supplier, Taber is provided opportunities to experience increased visibility to senior level management. The Preferred Supplier Program also offers access to procurement, engineering and quality personnel. Taber is proud to have been a Lockheed Martin Preferred Supplier since 2001. Russellville, Ark. (January 9, 2013) – U.S.-based Taber Extrusions LLC, a leader in the aluminum extrusions industry is pleased to announce Allan Annis as its new President. Mr. Annis succeeds Bill Wetmore who previously retired from the company at the end of 2012. As president, he brings a fresh approach to the company for the new year and will oversee both of Taber’s manufacturing plants which are located in Russellville, Arkansas and Gulfport, Mississippi. Mr. Annis comes to Taber from Hydro Aluminum where he was the Vice President of their Southeast Region. In this role, Mr. Annis was responsible for the Hydro plants located in St. Augustine, FL and in Belton, SC. Prior to Hydro, he was previously with Rockwell Automation where he served as Director of Lean Enterprise and also as Plant Manager in two of Rockwell’s Power Systems facilities. For over thirty-five years, Taber Extrusions has seen major growth in business opportunities and has broken boundaries as an extrusion leader in the production of a range of quality, customized aluminum extrusions by using cutting-edge technology and offering competitive prices. Mr. Annis will continue to lead the company with full force. RUSSELLVILLE, Ark.–(BUSINESS WIRE)–“American-made” Taber Extrusions, a leader in the U.S. manufacturing industry, has announced its precision saw-cutting capabilities for rod & bar/standard extruded shapes and customized aluminum extrusion profiles. Taber has added two new equipment enhancements to its Arkansas-based facility to maintain its leadership in the marketplace, saw cut with greater precision, and keep costs down for customers. 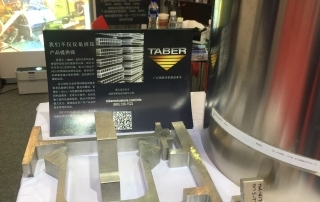 Anticipating the needs of their customer base that includes many various markets, both commercial and defense related, Taber’s manufacturing facilities added a band saw and a circular saw to fully cover the extensive range of produced extrusion profiles. With this new equipment, Taber’s cut tolerances now include length and squareness of cut (up to +/- .010″) across a maximum 32″ width (minimum cut length of .75″). Both new saws are custom-made for efficient aluminum cutting, ensuring high production rates while minimizing scrap. For over thirty-five years, Taber Extrusions has broken boundaries as an extrusion leader in the production of a range of quality, customized aluminum extrusions by using cutting-edge technology and offering competitive prices.